The M-5000 Live Mixing Console from the Roland Professional A/V Division, put to use at a recent event in Lincoln, Nebraska, by A/V firm Inspirmedia. Photo courtesy of Inspirmedia. © 2015. An audio engineer from Inspirmedia operates the Roland Professional A/V Division’s new M-5000 Live Mixing Console at a recent event in Denver. Photo courtesy of Inspirmedia. © 2015. A band performs at a recent event in Denver, with Nebraska-based firm Inspirmedia providing A/V services and components, including Roland Professional A/V components such as the R-1000 48-Track Recorder/Player and S-2416 Digital Snake Stage Unit, both visible in the rack. Photo courtesy of Inspirmedia. © 2015. At a recent event in Denver, Nebraska-based firm Inspirmedia provided A/V services and components, including Roland Professional A/V components such as the R-1000 48-Track Recorder/Player and S-2416 Digital Snake Stage Unit, both visible in the rack. Photo courtesy of Inspirmedia. © 2015. Los Angeles, CA, June 26, 2015 — Established around 15 years ago as an outgrowth of founder Phil Grimpo’s work in house-of-worship A/V, Lincoln, Nebraska-based firm Inspirmedia has significantly expanded its service portfolio in the years since. 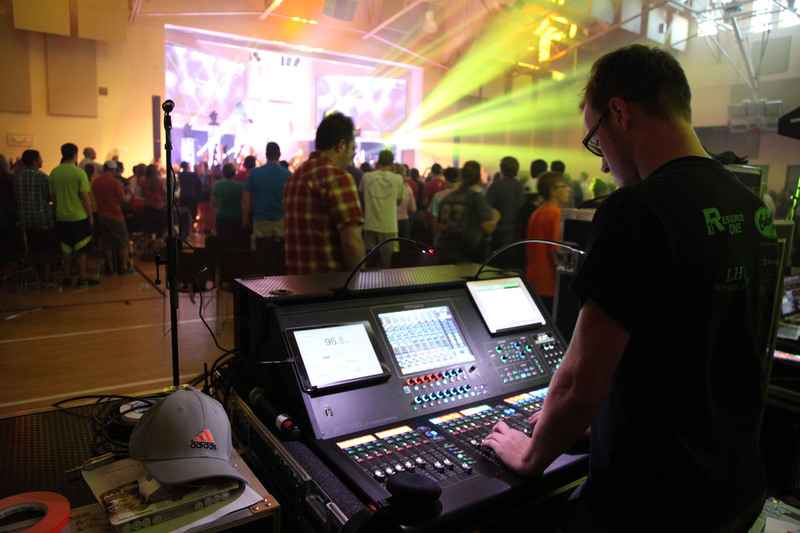 Grimpo and his team are at-home providing live A/V for church services and larger worship events (notably including youth conferences), concerts, corporate events and beyond; all magnitude of video, graphics and lighting production; consulting, training and sales; and much more – either locally or nationwide. The Roland M-5000 Live Mixing Console is the first product based on the O.H.R.C.A. platform, which opens a new generation of live sound solutions for audio professionals. “O.H.R.C.A.” stands for “Open, High Resolution, Configurable Architecture,” and the M-5000 reflects this by delivering freely definable audio paths, supporting multiple audio formats protocols and offering pristine 96 kHz sound quality throughout the system. The Roland M-5000’s internal mix architecture is not fixed and can be freely defined for mixing channels, AUXs, Matrices, subgroup buses, and MIX-MINUS buses within a range of up to 128 audio paths, allowing users to create a console structure to suit the needs of the application. 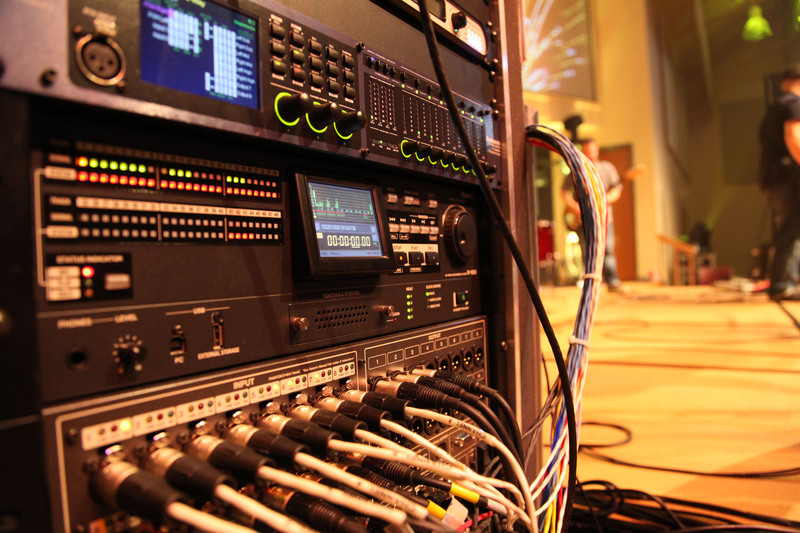 Inspirmedia’s typical live production setup includes the Roland M-5000 at FOH, two S-2416 Digital Snake Stage Units for remote I/O and the R-1000 48-Track Recorder/Player for multi-channel recording and playback. For more information on the Roland M-5000, visit http://proAV.roland.com/OHRCA/. 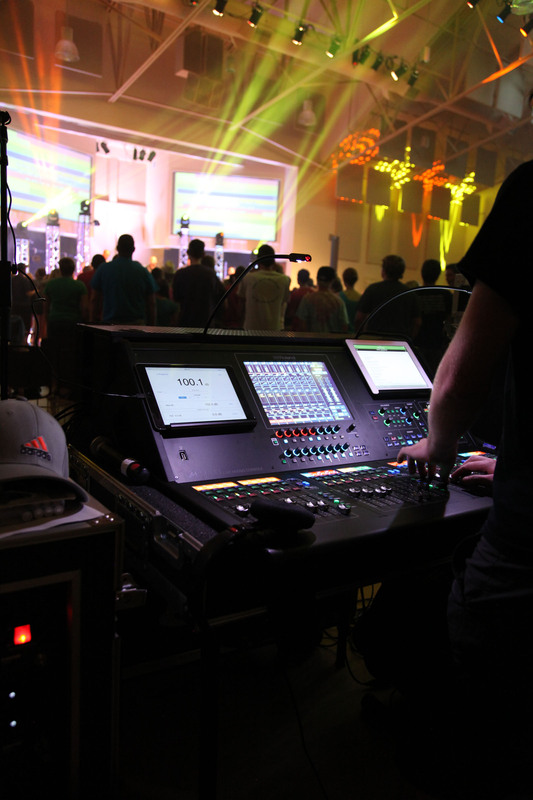 Photo caption 1: The M-5000 Live Mixing Console from the Roland Professional A/V Division, put to use at a recent event in Lincoln, Nebraska, by A/V firm Inspirmedia. Photo courtesy of Inspirmedia. © 2015. Photo caption 2: An audio engineer from Inspirmedia operates the Roland Professional A/V Division’s new M-5000 Live Mixing Console at a recent event in Denver. Photo courtesy of Inspirmedia. © 2015. 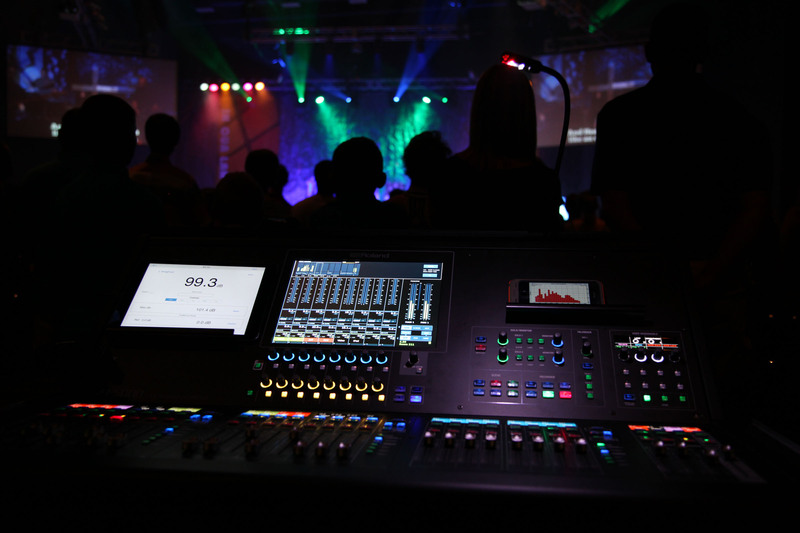 Photo caption 3: An audio engineer from Inspirmedia operates the Roland Professional A/V Division’s new M-5000 Live Mixing Console at a recent event in Denver. Photo courtesy of Inspirmedia. © 2015. 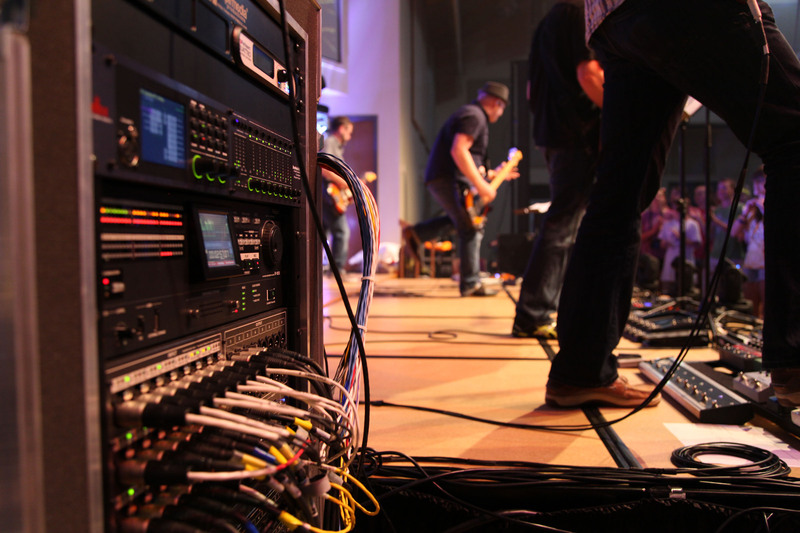 Photo caption 4: A band performs at a recent event in Denver, with Nebraska-based firm Inspirmedia providing A/V services and components, including Roland Professional A/V components such as the R-1000 48-Track Recorder/Player and S-2416 Digital Snake Stage Unit, both visible in the rack. Photo courtesy of Inspirmedia. © 2015. Photo caption 5: At a recent event in Denver, Nebraska-based firm Inspirmedia provided A/V services and components, including Roland Professional A/V components such as the R-1000 48-Track Recorder/Player and S-2416 Digital Snake Stage Unit, both visible in the rack. Photo courtesy of Inspirmedia. © 2015. Roland’s professional A/V division is dedicated to providing solutions in support of audio and video professionals demanding excellence in both performance and functionality. Through the development and support of video and audio products, we endeavor to improve workflow and maximize creative possibilities in a variety of markets including Broadcast, Education, Legal, Live Production, Sports, Theater, Theme Park, Videography, Visual Performance, Worship. Roland is headquartered in Los Angeles, California.